Ramma-sensei returned home after tree-planting activities and the agricultural assistant in Indonesia in 1995. 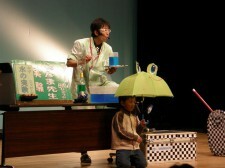 After teaching for 10 years in Japan, he retired to pursue the environmental performances. 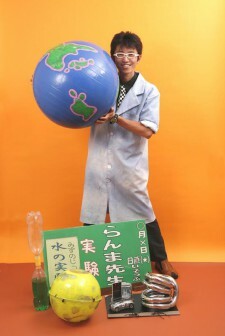 Ramma-sensei created a new form of “environmental performance” for the first time in Japan by taking advantage of the performance technologies that won the Juggling Magic Contest. It was evaluated and he was selected as a member of “the Stop Global Warming Team Minus 6%” in July 2007, and as the first member of “the Cheering Group Challenge 25(celebrities)” as a perfomer in June 2010. In 2009, his high degree of specialization and knowledge on environmental issues were recognized, and he has only received approval of as a certified environment counselor from the Ministry of the Environment. In July 2012, he was recognized as an UK IEMA certified CSR Practitioner and obtained an international license of the environmental CSR. In August 2011, his activities of assistance to affected areas and social contribution (CSR) was evaluated and won the “Social Business Grand Prix 2011 Sympathy Award”. His future activities was evaluated and received approval of “Social Entrepreneurship Incubation Business” from the Cabinet Office. At present, he is working as a representative of the NPO eco experience workshop and also as a CSR producer who linked the regional activity projects to government agencies, companies, and local areas. 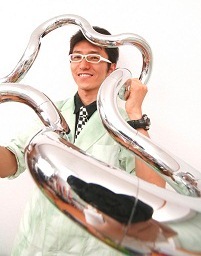 In December 2013, he won the 2013 Best Experimental Award in the Science Award in the television program. Plain words and expressions about environmental issues and scientific experiments have been used in the performance so that people of any generations from young children to the elderly can enjoy and learn at the same venue. In the experiment of water (environment), participants are expected to learn why it is good to use green power (solar power, wind power, water power), recycling, eco-bag, and others, and also learn about abnormal weather such as tornadoes, disaster prevention, and others. 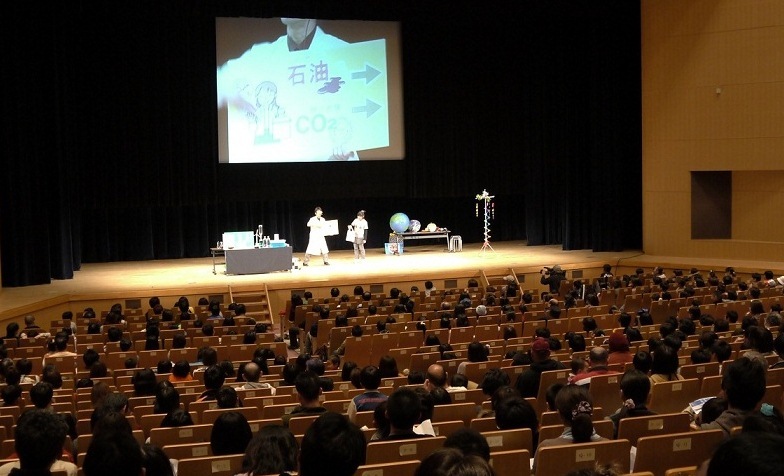 Using handmade original materials by Ramma-sensei, and combining elements of science magic, juggling, and magic, and presentation skills, we will make up atmosphere like an extra lesson by intellectual experience performance included with message to the global (environment) science♪. 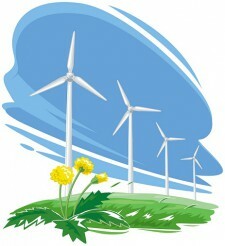 ☆We are also conducting lectures and experience classes (workshops). Copyright (C) 2014 eco-experiment performer Ramma-sensei All Rights Reserved.